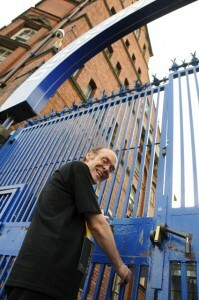 Colin has been volunteering with us at Tyne & Wear Archives & Museums for over 2 years now. He first joined volunteering as part of the Culture Track Project and has since progressed into volunteering across the museums, helping with everything from Family Fun Activities to The Late Shows. Colin has been a fantastic volunteer; friendly, committed, keen to get involved and to try new volunteer roles out. He was even commended at the North East Volunteers Awards for his commitment to his skills development! 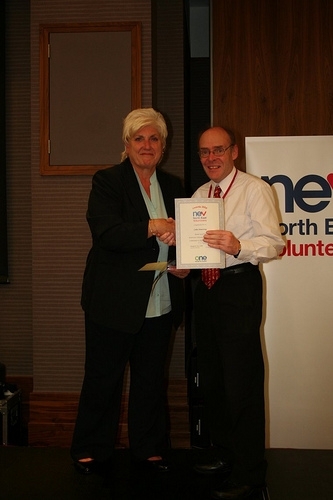 Colin Armstrong receiving his award at the North East Volunteers Awards ‘Commitment to Skills Development’. And a huge thank you to Colin for all of the time, energy and enthusiasm that he has given us at Tyne & Wear Archives & Museums!! Thanks very much Paul! I’m looking forward to sharing your film with everyone on my blog too.